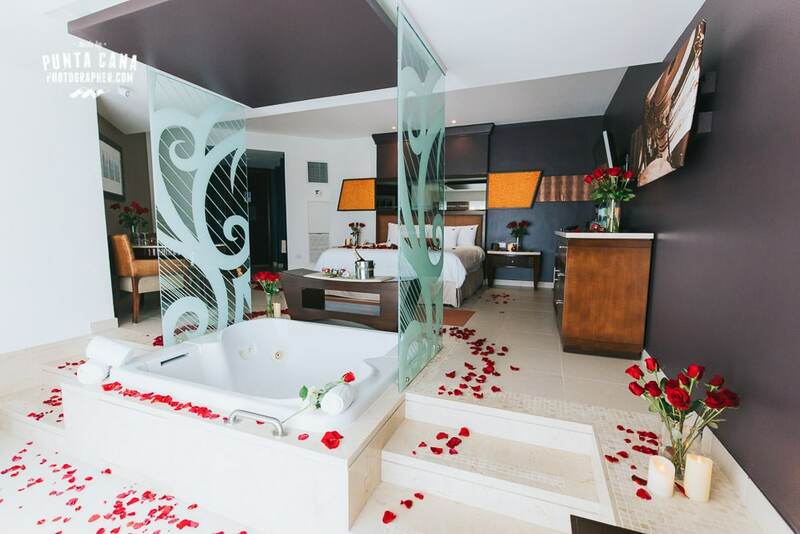 The Hard Rock Resort is one of the most popular resorts you can stay here in Punta Cana. A quick Google search will show you forums with reviews stating why you should visit; but why look at Google when you have us! The Hard Rock Punta Cana has a lot to offer its guests. Whether it be convenient amenities, a luxurious spa, or gorgeous bedrooms and suites; the Hard Rock all-inclusive resort has everything to offer you! Now that we’ve talked you into staying here… I’ll tell you a little more about these amazing rooms and what they have to offer you! There are so many different types of rooms offered to guests; there’s basically a room for each type of visitor. Are you a minimalist? Or maybe you have more extravagant taste (And, why shouldn’t you? ), there is something for everyone here! Do you have children? Then the Signature Family Suite is a great option for you because it is two bedrooms! With a king size bed, two double beds in the second bedroom and a dining room, this room is the perfect room for anyone with a family. 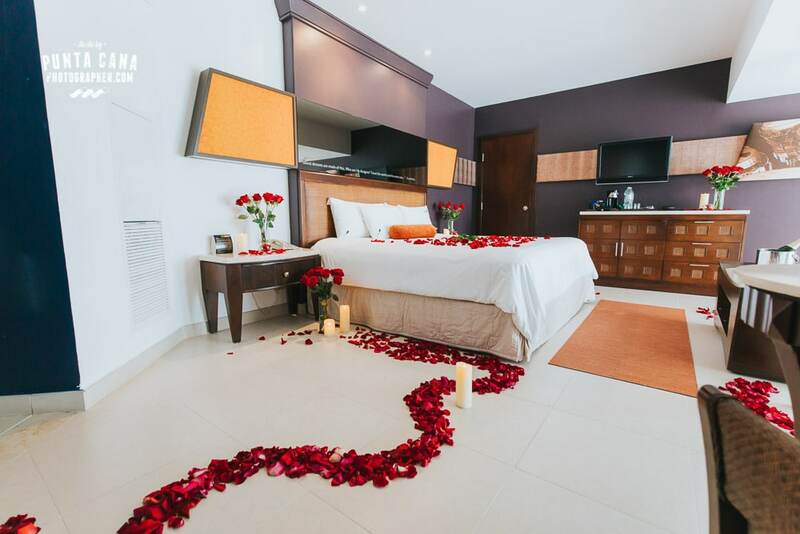 It also has a double shower in both rooms, minibar, Xbox 360, beach toys for kids, mini cakes on your children’s birthday, a guitar on request, and much more! This room is more than ideal, it’s a dream come true for parent and children alike. If we had kids, we would choose this one! 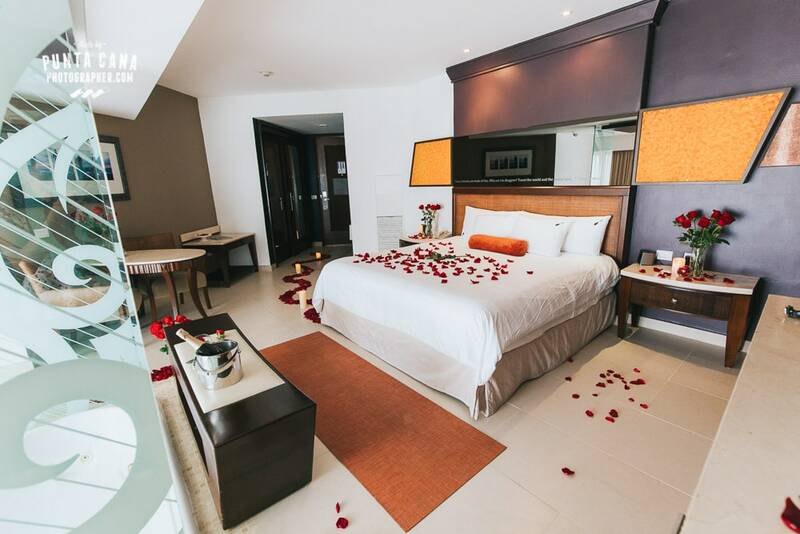 The Islander Junior Suite is lovely room that any minimalist would adore. 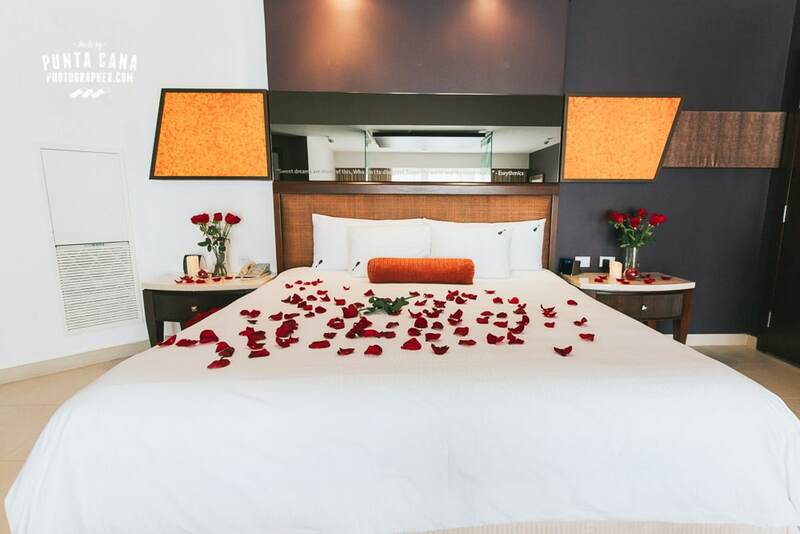 This 815-square foot room has a king size bed (double beds are also an option), has a balcony, is near the lobby, and comes with all the basic amenities such as free Wifi, 24-hour room service, spa tub, and a double shower. If I wanted something smaller with slightly less amenities, then this is the room I would choose! Looking for a suite with a lot of space? Then look no further! The Signature Family + Islander Junior Suite offers a whopping 2,496 sq. ft.! Talk about wide open spaces. This three-bedroom suite can hold up to ten people and it includes all the amenities of the Signature Family Suite. If you are traveling with a large party and like to stay close to each other, you should book this suite in heartbeat. The Signature Presidential Suite is amazing. It can be a one or two bedroom, comes with the basic amenities, and it comes with an expresso machine! This is great news for us coffee lovers! Need another reason to book this room? How about having your own personal assistant? Yeah, we think it would be cool too. And now, for those who enjoy luxury at its finest, the Rock Star Suite! This three-bedroom suite includes a dining room, living room, and an in-room bar. This room offers the utmost when it comes to comfort. If you choose this room you will also have access to a private pool, a pool table, a baby grand piano, in home theater, and 65” TV! Is it within your budget? This is the one. Overall, we love the rooms offered at the Hard Rock Resort! We think they are gorgeous! They have something for everybody, no matter the size of your family or your budget (well.. none of these are cheap anyways). We love to take pictures in any of these rooms would love to stay at the resort anytime! Feel free to invite us, I mean hire us, for your wedding day at Hard Rock! We honestly can’t think of anything bad to write about the Hard Rock rooms. They are beautiful, the staff is amazing, and the resort is conveniently located on a huge beach. The only thing we would change about Hard Rock Hotel is that it doesn’t feel like the rest of the Dominican Republic. This resort could be anywhere in the world and still look the same. This is a good thing for a lot of people who look for a safe and friendly environment in a Caribbean island, and a bad thing for people who are looking for a True-Dominican experience surrounded by palm-trees and local shops selling art and souvenirs. Our favorite rooms are the Signature Family Suite and the Junior Islander Suite. We think they both have a lot to offer and which you choose will depend on your needs. If you were to stay here, which would you choose? 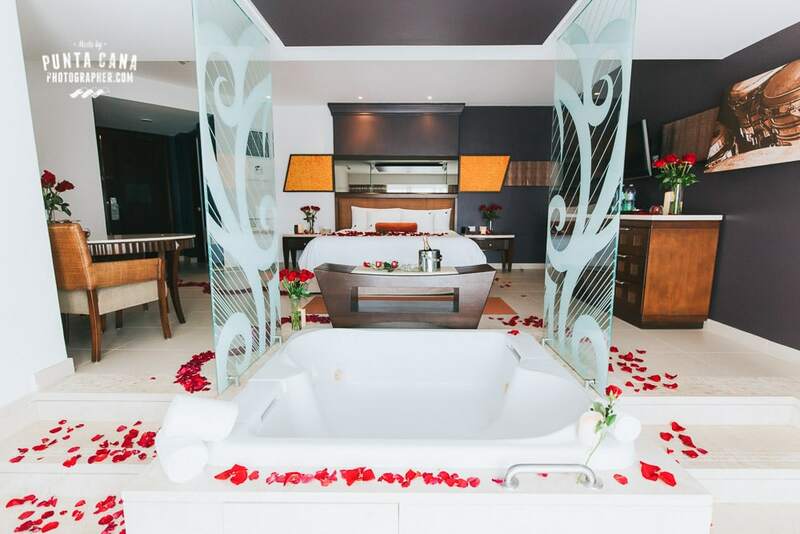 Of course, we would all like to stay in the Rock Star Suite… but which room do you plan to book?